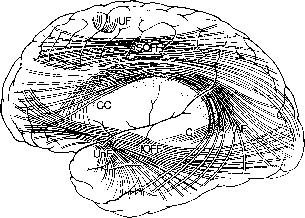 Figure 15 Diagram of white matter commissural and association tracts in the cerebrum. Abbreviations: CC, corpus callosum; UF, U fibers; SOFF, superior occipitofrontal fasciculus; IOFF, inferior occipitofrontal fasciculus; AF, arcuate fasciculus; UnF, uncinate fasciculus; C, cingulum. Reprinted with permission from Filley, C. M. (2001). Neurobehavioral Anatomy, 2nd ed., p. 185. University Press of Colorado, Boulder, CO.
number of synapses in the cortex may be an astonishing 300 trillion. The computational power made possible by this extraordinary number of connections renders the cortex the site of the most advanced functions of the human brain. For the neuroscientific study of the mind and all of the capacities implied by this concept, an understanding of neocortical structure and function is indispensable. At the microscopic level, the cortex is made up mainly of pyramidal cells, neurons named for the shape of their cell body, which each have a long axon projecting to other cortical areas or to subcortical sites. More than 90% of the cortex is a six-layered structure called neocortex, a term that refers to the relatively recent arrival of this brain structure in the course of evolution. Thus, the neocortex has a horizontally laminated pattern in which can be found, in sequence from the outermost layer inward, the molecular layer, the external granular cell layer, the external pyramidal cell layer, the internal granular cell layer, the internal pyramidal cell layer, and the multiform layer. There is also a vertical organization to the neocortex, such that cells arranged in a column perpendicular to the cortical surface are linked so as to respond as a unit to a given stimulus. Hundreds of millions of these vertical modules exist, and they are extensively linked to other modules by the axons of pyramidal cells. The remaining 10% of the cortex is known as allocortex, which is made up in turn of paleocortex and archicortex, cortical types of ancient origin that are more prominent in lower animals. Much of the allocortex is concerned with the olfactory system, which has limited importance in humans. However, as has been discussed, an important allocortical region is the hippocampus, a three-layered cortical region that, as part of the limbic system, plays a crucial role in memory and emotion. The three layers of the hippocampus are the molecular layer, the pyramidal cell layer, and the polymorphic layer. Many attempts have been made by anatomists to divide the neocortex into discrete zones. The best known of these cortical parcellations is that of Korbinian Brodmann, a German anatomist who described about 50 areas of the cortex, each with distinct histological features (Fig. 16). Although it is not clear in many cases whether these anatomically distinct zones reflect functional distinctions, the cortical map of Brodmann has endured for almost a century, and reference to his numbered zones is customary in discussions of neocortical anatomy and function. Many of Brodmann's areas will be mentioned in the discussion that follows. The neocortex forms the most superficial portion of all four lobes of the brain, and these lobes have much clinical utility in considering the functional affiliations of cortical regions and their underlying connections. Thus, the cortical surface can be divided into the frontal, temporal, parietal, and occipital lobes (Figs. 17 and 18). Each of these lobes has important functional affiliations (Table II), which will be discussed later. The frontal lobe is the most rostral of the four, lying anterior to the Rolandic fissure and superior to the Sylvian fissure. The temporal lobe is positioned inferior to the Sylvian fissure, and its posterior boundary is determined by the junction of two lines: one from the parietal-occipital junction to the preoccipital notch and the other running posteriorly from the end of the Sylvian fissure. 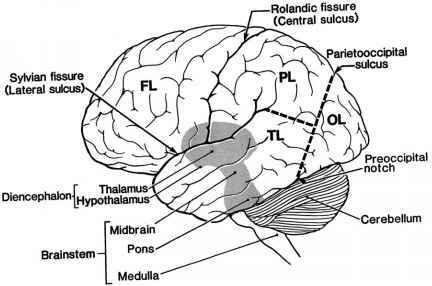 The parietal lobe lies posterior to the Rolandic fissure, and its inferior margin is also defined by the two lines that form the posterior extent of the temporal lobe. The occipital lobe is situated posterior to both the temporal and parietal lobes. Another small neocortical region that is not visible on the surface of the brain is the insula, or island of Reil, which is concealed under the Sylvian fissure by portions of the frontal, temporal, and parietal lobes. The frontal lobe is the largest of the four lobes, accounting for more than one-third of the entire cortical surface. As the most recently acquired cortical region in the course of evolution, the frontal lobe houses a variety of motor, cognitive, and emotional functions. First, the frontal lobe contains two areas important for voluntary movement: the precentral gyrus (Brodmann area 4), from which originate the corticospinal and corticobulbar tracts that descend to the spinal cord and brain stem, and the adjacent supplementary motor area (area 6). The remainder of the frontal lobe consists of the prefrontal cortex, a confusing term that simply means frontal association cortex not devoted to motor function. The prefrontal regions mediate many of the highest functions of the human brain. Among these advanced functions are the motor aspects of language: the fluency of language, for example, is mediated by Broca's area on the left (areas 44 and 45), whereas the expression of prosody, the emotional content of language, is provided by the homologous region of Broca's area in the right frontal lobe. Working memory, the capacity to hold information in mind long enough to apply it to the solution of a problem, is another important role of the frontal lobe, specifically the dorsolateral prefrontal cortex (areas 9 and 46). Working memory is thus an aspect of the general phenomenon of attention, which is also represented in the right hemisphere (see later discussion). 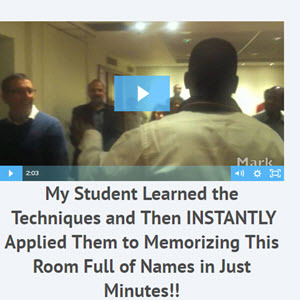 In addition, working memory contributes to the concept of executive functions, a term meaning the ability to plan, carry out, and monitor a sequence of actions that culminates in the attainment of a goal. Executive functions are thought to be mediated by areas 8,9,10,46, and 47. Another critical ability of the frontal lobe is in the realm of comportment, by which is implied the control of limbic impulses so that a socially appropriate behavioral repertoire is maintained. The orbitofrontal cortex (areas 11, 12, and 25) is extensively connected with the limbic system, and the normal function of this region prevents the dramatic behavioral disturbances that may occur with disinhibition. Finally, the medial frontal cortex (areas 24, 32, and 33), which corresponds essentially to the anterior cingulate gyrus, seems to have a role in motivation and the initiation of voluntary action. 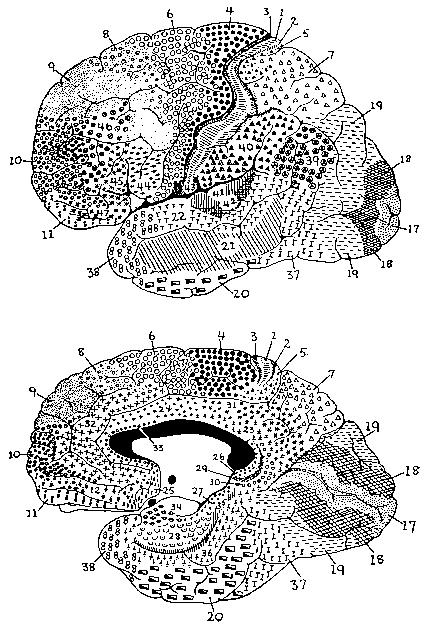 Figure 16 The cortical map of Brodmann, which distinguishes regions of the cortex on the basis of their microscopic features. Reprinted with permission from Filley, C. M. (2001). Neurobehavioral Anatomy, 2nd ed., p. 10. University Press of Colorado, Boulder, CO.
medial temporal lobe, is essential for the learning of new declarative information. The amygdala, immediately adjacent to the hippocampus, is a key nuclear structure in the cerebral organization of emotion. 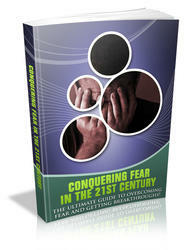 In a manner recalling hippocampal function, the amygdala is responsible for emotional learning; one powerful emotion, for example, is fear, and it is through amygdalar function that an individual learns to avoid dangerous environmental stimuli. 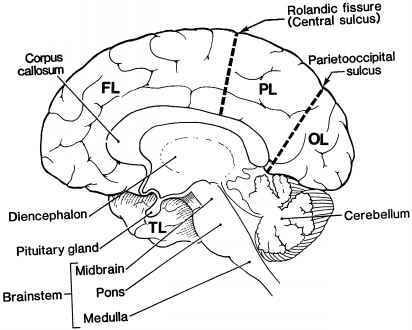 Figure 17 Lateral view of the brain showing the location of the four lobes of the hemispheres. Abbreviations: FL, frontal lobe; TL, temporal lobe; PL, parietal lobe; OL, occipital lobe. Reprinted with permission from Filley, C. M. (2001). Neurobehavioral Anatomy, 2nd ed., p. 6. University Press of Colorado, Boulder, CO. Figure 18 Medial view of the brain depicting the four lobes on the medial surface of the hemispheres. Abbreviations: FL, frontal lobe; TL, temporal lobe; PL, parietal lobe; OL, occipital lobe. Reprinted with permission from Filley, C. M. (2001). Neurobehavioral Anatomy, 2nd ed., p. 7. University Press of Colorado, Boulder, CO. Visual perception regions that renders the right hemisphere dominant for attention. On the left, important areas of the parietal lobe are the angular gyrus (area 39) and the supra-marginal gyrus (area 40), which are involved in reading, calculation, and other cognitive domains. Th occipital lobe is the smallest and most posterior lobe of the brain, but its importance lies in its singular affiliation with the visual system. Primary visual input from the thalamus is received here in the calcarine cortex of the medial occipital lobe (area 17), and then further processing occurs in the higher order visual association cortices adjacent to the calcarine cortex (areas 18 and 19). Reception of visual information is therefore as dependent on the visual cortex as it is on the eyes themselves. In addition, perception of visual aspects such as color, shape, form, motion, and location is made possible by the participation of the visual association areas. A final point to be discussed in considering cortical structure and function is the specialization of the cerebral hemispheres. It is true that the two halves of the cerebrum are roughly symmetrical in a gross anatomic sense, and for elemental sensory and motor functions the two hemispheres can be considered comparable. However, there are significant interhemi-spheric differences in the organization of the higher functions. One of the most apparent of these is in the realm of language, as it has long been known that the left hemisphere is specialized for language in most individuals. This asymmetry of language function is linked to handedness, in that people who are right-handed (about 90% of the population) nearly always have left hemisphere dominance for language. However, it is important to recognize that the term "dominance" applies not just to language but to other cognitive functions as well. For example, the right hemisphere is dominant for visuospatial function and for attention, both of which are equally critical for successful human existence. Thus, the assumption that dominance only applies to language is misleading. The two hemispheres, as is true of all areas of the brain, each contribute in their unique fashion to the extraordinary range of human capacities. These functions in general are becoming increasingly well-understood, and neuroanatomy continues to provide the foundation for understanding their neurobiological organization. From this basis, contemporary neuroscience is achieving an ever expanding knowledge of brain function, and, as further advances in neuroa-natomy and related disciplines are made, a richer and more complete appreciation of the wide variety of human behavior can be expected.